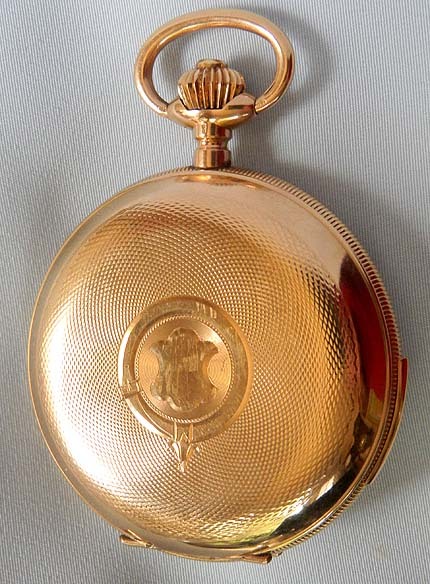 Fine and beautiful Swiss 14K gold automaton quarter hour repeater antique pocket watch circa 1890. Beautiful green enamel over engine turning dial with gold numbers, gold decorations,and fancy gold hands. 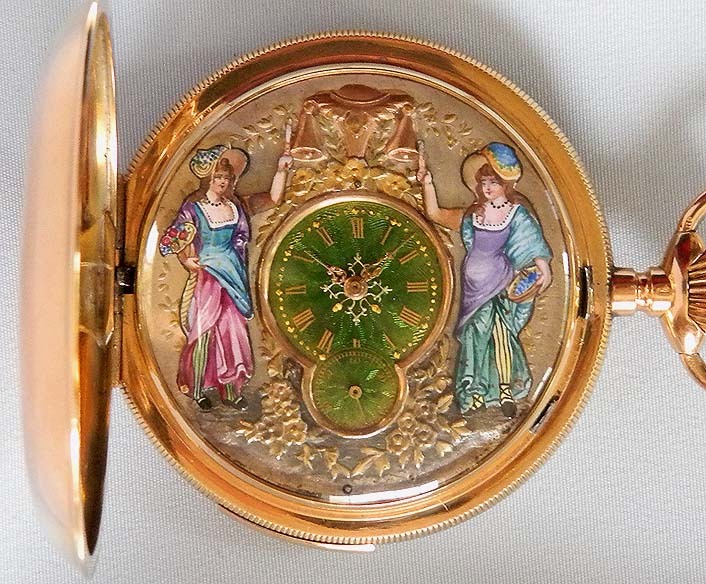 The dial is flanked by two painted enamel fancy Victorian ladies showing off their stockings and striking mock bells in time with the repeater mechanism. 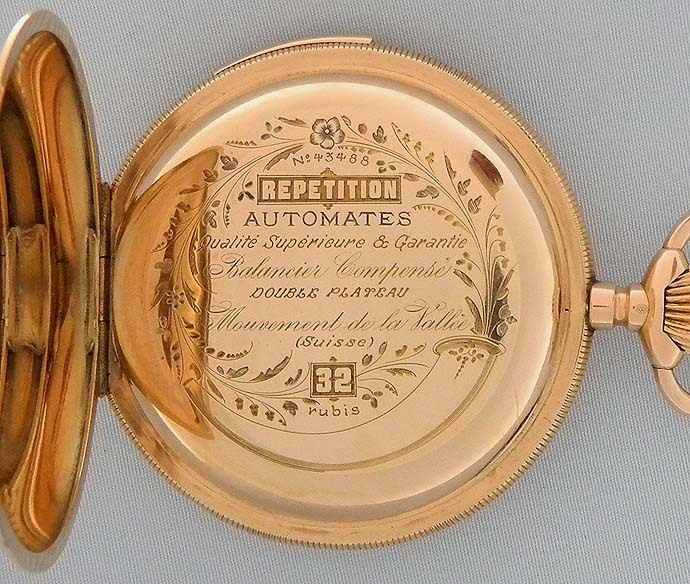 Engine turned case with the repeater slide in the band and gold dust cover in addition to glazed observation cover. 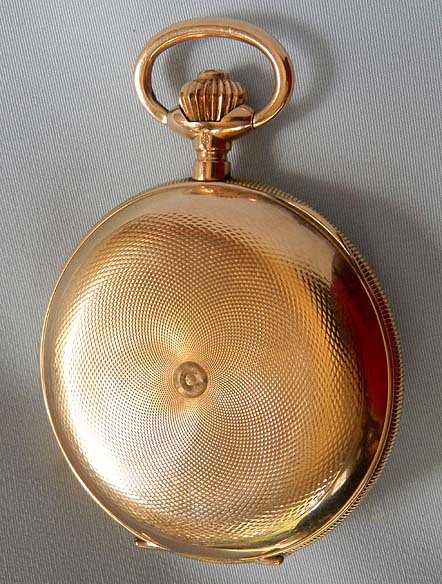 Gilt estimated 16 jewel lever movement. Excellent example. 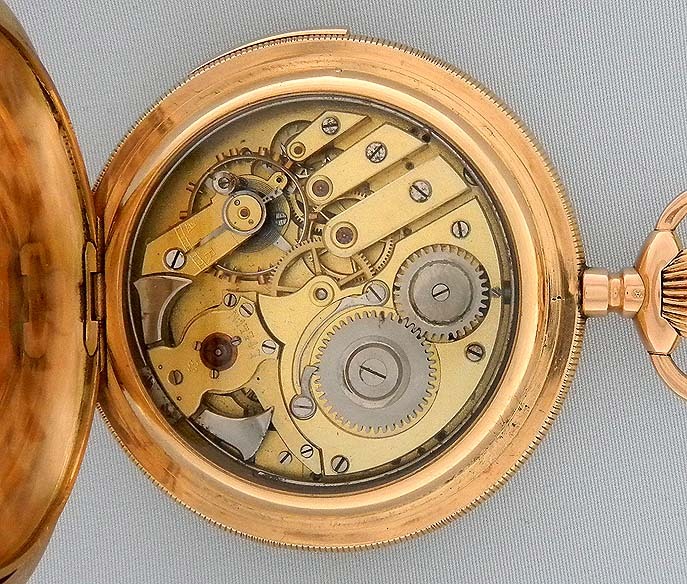 This watch is in particularly fine condition throughout with the engine turning and crown crisp and sharp.